During this holiday season, our thoughts turn to our clients, colleagues and friends. We are grateful for your business and support, and look forward to years of continued success together. Please enjoy our holiday video. Wishing you a new year filled with peace, joy, and prosperity. Wishing all of our clients, colleagues, friends and family a wonderful holiday season and happy New Year. We look forward to seeing you in 2015. This holiday season, drone sales will reach never-before-seen heights. The rise in consumer purchases caused the Federal Aviation Administration (FAA) to take safety measures on behalf of those using public airspace. According to a new law put in place by the FAA, operators must participate in a drone registration system as of December 21st, 2015. This may seem a bit daunting for a lot of people interested in UAVs, therefore Murphy Company brings you all the information you need to know about the new legislation. Any unmanned aerial system (UAS) weighing between 9 ounces and 55 pounds must be registered. Operators must register their name, physical address, and email address. Registration applies to all UAS, new and existing. Each aircraft must be marked with a unique number, although not necessarily the serial number. Current owners have until February 19, 2016 to register, while new operators have until their first flight. $5 fee, but allows you to register an unlimited number of drones (To push for early registration, the FAA will refund the $5 fee to anyone who registers before January 19, 2016). Registrations are good for 3 years. “Registration gives us the opportunity to educate these new airspace users before they fly, so they know the airspace rules and understand they are accountable to the public for flying responsibly,” FAA Administrator Michael Huerta says. Those who do not register may see up to $27,500 in civil fines, as well as $250,000 and three years in prison for criminal penalties. While those numbers seem extreme, Michael Whitaker, deputy administrator of the FAA, assures consumers that "initial efforts will be to get everyone signed up rather than to punish owners, unless it is an egregious incident... The goal is not to be punitive, but to get people into compliance with the regulations." The new law comes with some scrutiny from the Academy of Model Aeronautics (AMA), which represents 185,000 hobbyists nationwide. They believe education programs are the way to ensure safety rather than a registry that will create “an unnecessary burden” on the group’s members. They fear that the more excessive the laws become, the less people are going to want to get involved. The FAA is working on furthering the standard for flight, and raised interest will only quicken the process. For more information on the drone registration, visit FAA.gov/UAS/Registration, while information regarding regulations and laws can be found at KnowBeforeYouFly.org. This past August, Murphy Company hosted the inaugural Columbus UAV/Drone meetup. It was a great forum to discuss everything drone related. Murphy Company is excited to host another meeting in early 2016. Stay current on dates and information by going to Meetup.com/UAVDrone. We invite you to take a minute from your day to destress, and see the meditative process of mixing ink. People living in Ohio have a lot of pride for their state, which is understandable when it is so easy to find inspiration everywhere. Murphy Company holds the Buckeye State particularly near and dear to our hearts, and that is why we are excited to share that Cincinnati, Ohio based Xavier University purchased a MakerBot Innovation Center for their own Center for Innovation (CFI). The Innovation Center comes complete with thirty one MakerBot Replicator 3D Printers (twenty five desktop, three Z18s, and three mini compacts), three MakerBot Digitizer desktop scanners, a large supply of MakerBot PLA filament, and software to manage the entire system. I had the pleasure of speaking with Shawn Nason, director of the CFI, to learn more about innovation, MakerBot, what this integration means for Xavier, and to dispel some myths about 3D printing. In early January, a small group from Xavier consisting of Nason; Annette Marksberry, Assistant Provost and CIO for the university; and Carol Maegly, Assistant Vice President for Provost Budget & Planning; set off to Las Vegas to attend the largest Consumer Electronics Show in the world. The annual conference is devoted to everything and anything within the world of consumer electronics, from the latest wearable technology and phone apps to the future of audio and video. A decent sized section of the event is dedicated to the ever growing 3D printing industry, and that is where 'X' marked the spot for the Xavier group. "Our intentions when we went there were not to strike up or make any deals. I had attended before, but [Marksberry] and [Maegly] had never been, so the mindset was to go out there for two and a half days, immerse them into what it was like, and to help open up our eyes to where we could go in education." Upon arriving at the conference, they were initially drawn to MakerBot's eye-catching pavilion, and decided to stop in to have a brief conversation with the company. That evening, the Xavier group committed to purchasing the Innovation Center, and by the next morning, they had signed the deal. They were now the proud owners of a piece of history. For most people, committing and signing a deal this large within twenty four hours of hearing about it is considered spontaneous, but Xavier is no stranger to 3D printers. Professor of mathematics and computer science, Gary Lewondowski, bought one in 2012 and librarian, Alison Morgan, applied for a grant to create a MakerSpace within the main library. After receiving the grant approval, she added two printers to the university's catalog. Coincidentally, all three printers happened to be MakerBots. With all of this attention spent on ingenuity and cutting edge technology, it is no surprise that in 2014 when a rash of colleges began closing their doors, Xavier developed a plan to increase revenue for the school while also benefitting the student body. That is where Nason came into play. "I was brought in to look at creating non-traditional revenue streams for the university," claims Nason. CFI works specifically with the health care industry, higher education space, and what Nason refers to as the, "innovation igniter" space. They provide training and development around innovation practices and capabilities. Those outside of Xavier's academic community are not excluded from using their services. In fact, a fair amount of companies work with them, including architecture firms and print shops, to name a few. They even printed fossil bones for the Cincinnati Museum Center. In the ever expanding 3D marketplace, my exposure to different perspectives and directions grow as Murphy Company ventures further into this arena. At the time of this interview we are also in discussions to represent MakerBot as another addition to our 3D product line. The expansion does come with a common concern voiced from those new to the community. "Will 3D printing be something that is really going to stick around, or in time, will the spools run bare for good?" Our confidence in this area is rooted in witnessing a twenty five year old technology being updated, utilized and brought to the forefront of innovation by educational institutions like Xavier, and thought leaders like Nason. Having accomplished so much in such a short time, I was curious to know where he thought the technology was heading. 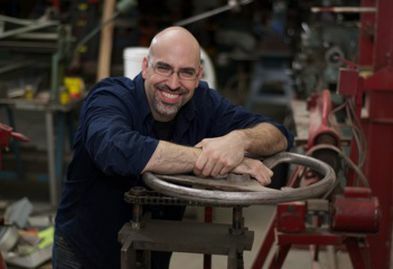 "I believe that 3D printing is just really a disrupter to all industries. This next week we'll be speaking at South by Southwest, and we are talking about innovation detonation. I honestly believe that it has so many applicable uses in innovation and industries." "St Ignacious Layola is quoted for saying, 'go forth and set the world on fire.' We want to find and help find the spark in every individual to create that fire." For more information on Xavier's Innovative efforts, head to the Center for Innovation website or Shawn Nason's blog. This week's article is part of our series on 'Education and 3D Printing.' Published by Kevin Murray. To all of us here at Murphy Company, we look beyond the scope of corporate responsibility when promoting sustainability. We see it as paramount in creating a better future, and feel it is our civic duty to take certain steps in ensuring that future come to light. On April 22nd, 1970, 20 million Americans across The United States felt the same way. They gathered in peaceful protest, united by the common fear of environmental deterioration. What came from this day was the beginning of the Environmental Protection Agency, as well as the first Earth Day. In the years since, Earth Day evolved into something far greater. Teachers now create eco-conscious lesson plans in celebration, people volunteer to clean up parks or plant trees, families take the leap to create a backyard compost pile. It is a day about education, action, and unity within the community. Some organizations, Murphy Company included, utilize the entire week of the 22nd each April to learn more about "green" happenings within our own backyard and do our part to strengthen those efforts. As society celebrates the 45th anniversary, we rejoice on how far we have come, but ultimately it is still troubling to be inundated with the facts and figures about pollution or climate change. The health risks and potential future we are leaving for our children's children are terrifying thoughts, to say the least, which is why education and execution of eco-friendly lifestyles are so important. As a lover of the outdoors, cherisher of nature, I want to take a moment to share with you a few of the ways Murphy Company does its part. The creation of a corporate space that promotes the daily idea of "reduce, reuse, recycle," while simultaneously participating in various "green" events throughout the year. Recycling over 1,200 pounds worth of servers, monitors, computers, backup batteries and various electronic waste to eRevival LLC, a computer and electronics recycling solution, at the Upper Arlington Whole Foods' "e-Waste Fundraiser." Donating over 6,000 pounds of recyclable goods to St. Catharine's School in Bexley, Ohio. Each year the eighth grade class buys a gift for the school using money raised through donated recyclables and various other fundraising efforts. Monthly recycling to the local recycling drop-offs. The reuse/repurpose of worn down or broken palettes into office furniture and business amenities. The reduction of our automotive carbon footprint by promoting a bicycle friendly environment through participation in such events as "National Bike to Work Day," "Bike the Cbus," and the Columbus chapter of the "Monday Night Ride." Those in Columbus looking to get involved with some "green" groups, visit Green Columbus's website for a complete list of volunteer opportunities. For more information about Earth Day or larger scale opportunities, visit EarthDay.org. How did you spend Earth Week? Use the hashtag #MCEarth and tag us on Twitter or Facebook to let us know! Please enjoy this Earth Week video we have created for the holiday. While time moves forward, technology continues to work towards simplifying the lives of users and quickening real time correspondence. As an example, look at mobile phones. At one time we had to use a normal telephone line and utilize the services of an operator to physically patch a connection. Today, digital technology has enhanced the way people interact and connect with one another. We can pull a handheld device out of our pocket and reach anyone, anywhere, all without being limited solely to verbal communication. Texting, access to social media, and video messaging simplify instantaneous correspondence, creating the era of immediate gratification that we have grown accustomed to. The same technological revolution applies to your camera. The storage capacity for film cameras was limited to only 24 images and changing rolls required users to interrupt or even miss capturing a moment. The method of developing those pictures was tedious, required a fair amount of skill, and took far too long to create and review the finished product. Using a digital camera, you can save what seems like a limitless amount of pictures to a memory card, transfer them to a computer, and send them to as many people as you would like, seamlessly, within minutes. Online photo sharing from services like Facebook or Instagram allow for unlimited access, regardless of location, diminishing the need for tangible a album -- a topic I will expound upon in a later blog post. The world of dictation faces similar lifestyle improvements. Like film in cameras, replacing cassettes in recorders interrupts an author’s train of thought, affecting the ability to capture significant ideas as they happen. There are few things more frustrating than finding the trail leading to your "ah-ha!" moment, only to have it cut short by the 'click' of a full tape. That minute or so that you have to spend swapping cassettes could easily be the moment where a detail goes overlooked. It is difficult to backtrack and try to catch up on lost momentum, which is why the ability to hold over 300 hours of recording time on a single card is so vital. It may seem overkill, but the important thing is having the ability to record ideas without interruption. After recording to a digital file, sending it along to anyone you choose is simple. Unlike analog dictation, which requires making hard copies of the tape -- a process that diminishes the audio quality with each reprint -- you can simply email any file to as many people as you would like, all while maintaining a perfect standard of sound and organizational file tags. Keep in mind that tapes get eaten or misplaced, analog solutions have more moving parts that are easily broken, and the sound quality of tapes deteriorates over time. There was definitely a time and place for analog, but for how advanced the digital solutions are, your workflow cannot afford to be stifled by tape. Think of it this way, why would someone watch VHS when they can stream the same film in flawless video quality? Move ahead of the curve at the most competitive price. Protect all of your important data from illegal access with the 256-bit Advanced Encryption Standard encryption system. 2-inch TFT color LCD supports 65,000 colors, making it easier to see warnings like Low Battery, High Priority, or Low Memory. Turn voice files into text automatically using the Olympus Dictation Management Software, which was designed to integrate easily with Dragon Naturally Speaking. Trade in now! Contact one of our sales representatives to upgrade today! *Allowances not valid with any other discounts or promotions. Offer ends 11/30/14. Would a professional dictation device benefit you? Here are the FAQ’s. As the only certified Olympus and Philips dealership for Central and Columbus, Ohio, we get asked this question all the time. As technology continues to evolve the benefits are greater than the reasons not to invest in a new system. 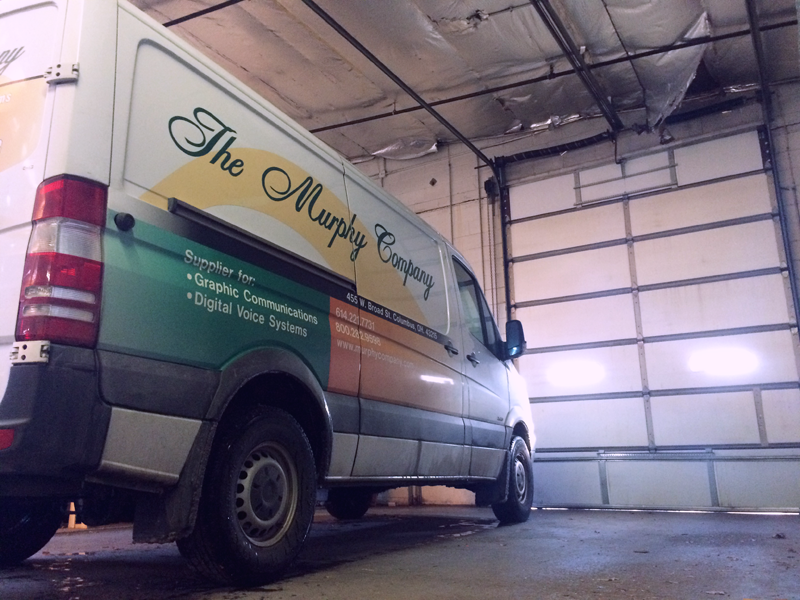 As a representative with Murphy Company I work to match solutions with problems to offer a recommendation. Will a dictation or speech solution device improve your working environment? Will it streamline some processes and make things more efficient and increase revenue to the bottom line? We work with the customer to develop a sales solution that will benefit the business or department. The following are some of the most frequent questions. Whether you dictate 12 hours a day or 12 minutes a week, a digital voice recorder is a great way to remain mobile, while recording your important dictation and notes. Digital voice recorders are more popular today than ever, because of their inherent ability to provide a better, more efficient workflow through transcription and capture crystal clear sound quality. Also, aging cassette equipment is getting harder and harder to find. What is the difference between Digital and Analog systems? The cassette is replaced by a removable media or an internal memory card where the recordings are done - the procedure is similar to today's digital cameras. The use of the handheld is extremely similar - a digital handheld allows you to record, rewind, fast forward, play, and overwrite. To transfer the dictation, a docking station or a USB cable is used that is directly connected to the computer. This will allow the automatic download of the dictations onto the computer. On the transcription side - the foot control and headset are directly connected to the computer - thus replacing the analog box on the table. With the help of a software, DSS Player Pro for example, the dictations can be heard and type directly into a word processing software. What type of Digital machine should I purchase? Four-position slide switch or push button operation? If the user has been operating dictation equipment for more than 10 years, he or she may only know the four-position slide switch, as it’s the most popular. Professional grade machines almost always offer a model with this configuration as many find it comfortable and familiar. Push button operation is more common as manufacturing costs are less, and generally can be found at a lower price point. If you’re buying a handheld for someone else to use, we strongly encourage you to purchase whichever configuration the author is accustomed to. This will be familiar for the user and increase the overall satisfaction he or she will have with the device. What are the benefits of Digital Dictation? Better sound quality, less loss of dictation through missing or broken cassettes. Other benefits are overwrite and selective erasing of dictations, as well as the sending of dictations via email, FTP or over a network which allows seamless integration into current computer infrastructures. Analog tapes had a maximum recording time of 30 minutes per side where with digital; hours can be recorded without the need of changing a tape. Digital files can be stored on DVD or dedicated backup on a server for archiving purposes. How are the dictations transcribed? Once the typist receives the file, they will launch transcription software kit. This kit includes a headset, foot pedal and software which allow them to listen to the file just like the cassette tape. These items are plugged in and loaded on the PC for ease of use. In which format are the digital files saved? The voice files are saved into the International Speech Standard DSS (Digital Speech Standard). This file format was specially developed to enhance and maintain the quality of the human voice through a very high compression method. This high level of compression allows an easy transfer of files via email or over the network by only using low level bandwidth. The digital machines that record in stereo quality (for conferences and interviews) produce a file in very high quality.The DSS Player software can equally play all WAV or WMA files within its application. Is the hardware and software compatible with Voice Recognition? Voice (speech) Recognition is the process of converting digitally recorded voice into editable text. Most Digital recording and transcribing systems offer the ability to incorporate voice recognition into their software. There are numerous companies that sell the software which requires the user to “train” the software to recognize particular speech patterns. What is the difference between QP, SP and LP settings? As with video recorders, dictation machines have several different recording settings (Quality Play, Standard Play, Long Play etc.). With Standard Play (SP) a very high voice quality can be achieved, and a 10-minute dictation will require around 1 MB of disk space. With Long Play (LP) the quality isn't as high but twice as much speech can be recorded. The recording quality in LP mode is similar to that achieved using a traditional analog machine; however the best quality is produced in QP mode, whereby all dictations are also encrypted. Can I incorporate my smart phone into a digital device? Currently there are several digital dictation applications available for mobile phones. With mobile dictation apps, one can record, edit, and send dictation files over networks. Wireless transfer of dictation files decreases turnaround time and enhances personal productivity. Mobile dictation applications allow users to stay connected to dictation workflows through a network, such as the Internet. What is the warranty, and can extended warranties be purchased? A products warranty will vary from brand to brand and vendor to vendor. Buy a product with a warranty that puts your mind at ease, from a vendor that will stand behind your purchase with a satisfaction guarantee. A 1-year parts and labor is standard for a professional grade machine. Some vendors even offer extended warranties to provide you with extended protection. I hope that the brief post will help in your decision process. For any inquiries, please contact us today.